Home→Astronomy→LOG#194. On minimons, maximons and darkons. ← LOG#193. Bits on black holes (II). This is the simplest argument I know to propose a maximal acceleration principle from the combined force of special relativity AND quantum mechanics. There are other arguments. If you followed my posts about Bohrlogy and fundamental challenges and issues in physmatics, you do know I believe there is a deep link we are missing in the search of quantum gravity and the ultimate theory. We are lacking a conducting principle. I am not claiming that maximal acceleration IS the principle, but only that it is pointing out towards it. And not too many people know this! Gravity plus quantum mechanics implies not only a minimal length, it also changes the way in which metric changes. Fluctuations of the metric are more sensible to squares of the Planck length. Note that you could be tempted to write but it seems much more natural to say that the square of area is much more natural. You could be yourself puzzled like me, but some time ago, Jacob Bekenstein suggested something like this. Area quantization for the black hole (quantum!) spectrum. If you know loop quantum gravity, you also know that the area operator is much more natural than the volume or length operator. So, somehow, area, surface or its general generalization, the hypersurfaces are much more natural objects for quantum gravity that “points”, aren’t they? Who knows? Braners and stringers also know this, I am sure of it. Quantization as geometry in phase space-time. Quantum mechanics as geometry in some curved phase space-times. Maximal temperature would be infinite if the speed of light were infinite, or the newtonian gravitational constant were zero. Exported to black hole physics, or even superstring/M-theories, maximal temperature seems to be a critical feature (critical point) that points out a phase transition to new degrees of freedom of (phase) space-time and conventional particle physics or geometry. Moreover, maximal acceleration can be seen as a feature in some generalized uncertainty principles (GUP). By duality, if extended to the full PHASE space-time, if there is a minimal length (the minimon), there is a maximal (cosmic?) length (the maximon). If there is a maximal velocity, there should be a minimal velocity (more on this in a nearby special post…). If there is a maximal acceleration, there is a minimal acceleration. So, we should have minimons and maximons of every stuff. Therefore, Hagedorn temperature, Sakharov maximal temperature, Hawking temperature and the Unruh temperature, up to some constant, give a criticical value for those temperatures. It hints that gravity itself or fields are emergent concepts. Even space-time is effective. Any uniformly accelerated spacetime has a temperature with respect to inertial observers. By the other hand, we have found that something happens at some critical temperature. It implies a maximal acceleration and hidden dynamics there when the new degrees of freedom do appear. Duality is a key concept. Even more, duality on time dimensions are fun! Any quantum theory at non-zero temperature implies a link with TIME. Temperature and time are related via periodicity in IMAGINARY TIME, i.e., . In any relativistic quantum theory, purely kinematical Unruh temperatures will naturally appear. Thus, we should expect that, in any theory with minimal length, maximal temperature and maximal acceleration are key. In fact, as I tried to say to a professor as undergraduated (even before knowing all of this stuff! ), maximal acceleration (temperature) can NOT emerge from classical general relativity or classical string theory since they do NOT include it in any obvious formulation. I have no knowledge of such a formulation of classical general relativity or string/M-theory including a maximal acceleration principle from the beginning, and its effect to them. Maximal acceleration (and minimal acceleration), maximal length (minimal length) could be related to some unknown dynamics of string theory and quantum gravity. Perhaps, I can not explain myself clear. I do not know. But I am becoming more and more confident that a general min-max. principle is operating in effective theories of quantum gravity. And they are completely general. In fact, black hole physics is critical field theory in a sense. When you equate the black hole Hawking temperature to the Unruh temperature, or more interestingly, to the Schwinger temperature, you get maximal acceleration (maximal field!). If you do it yourself you will get , , . Please, note the duality transformation in energy, and the equivalence, if you make . Remark: You could fit the minimal acceleration to the cosmological constant, via . Is there any other physically appealing definition? I claim that in the limit where you neglect , you get a correction to MOND. Interestingly, this correction to MOND are two terms proportional to the cosmological constant, that become more and more important as grows. This generalized MOND must be provided by some quanta of spacetime…The darkons, because they are associated to dark matter and dark energy. Of course, this is the same reason why Penrose suggested the name erebons for his test of cyclic cosmology. The origin of is the issue. And of course, the and the relative strength of the different terms in the velocity-radius curve. I believe this law suggest certain dynamics between , and that could explain why MOND fails in some particular systems. Or not! Note that you can get maximal/minimal length or acceleration whenever you write . See you in another wonderful blog post! P.S. : Epitachyons, particles with , could be existing entities. Indeed, as you can see from extended relativity, superluminal superaccelerated epitachyons have real energy. P.S. (II): It seems that the SAME idea (maximons and minimons) have been discussed in the past by M. A. Markov and others. Markovian minimons are neutrinos under a Planckian seesaw we do know it can not work with current data. can be explained by a dimension 5 five operator (Weinberg’s operator) containing heavy Majorana mass neutrinos (right-handed). A neutrino is kicked by a Higgs, turning it into a very heavy Majorana neutrino (unobserved), then it is kicked again and turned into a light neutrino (type I seesaw). 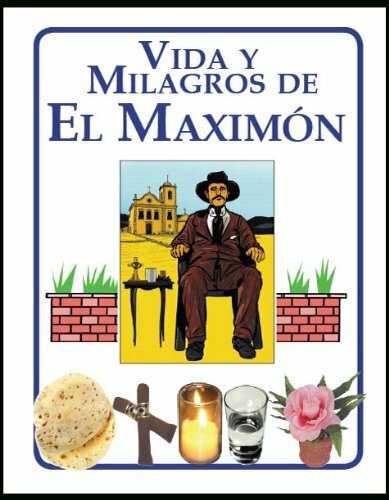 P. S. (III): The maximon is a mayan deity as well! where is the decay width. LOG#209. A cosmic link with a non-trivial zeta zero? LOG#207. Beck, Zeldovich and maximal acceleration: the vacuum. LOG#205. Ether wind, SR and light clocks. NO button: press to UNSTRESS YOU. amarashiki on LOG#165. Rogers-Ramanujan identities. Li GAN on LOG#165. Rogers-Ramanujan identities.